Kwanak (Gwanak) High School has a few athletic facilities open for public use. Among them are two separate basketball courts. They are typically used for doing things such as playing basketball. Kwanak? Or Gwanak? Doesn't matter. The name doesn't affect the caliber of basketball played at Kwanak High School. 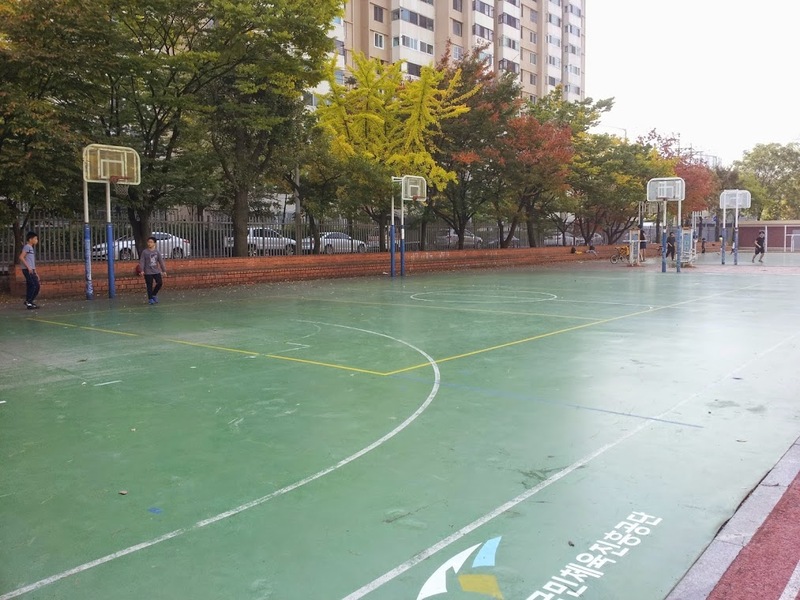 If you're looking for a place to place basketball near Yangpyeong Station on Line 5, consider the court at Kwanak High School. It's the perfect place to take people to school. Green hard top. 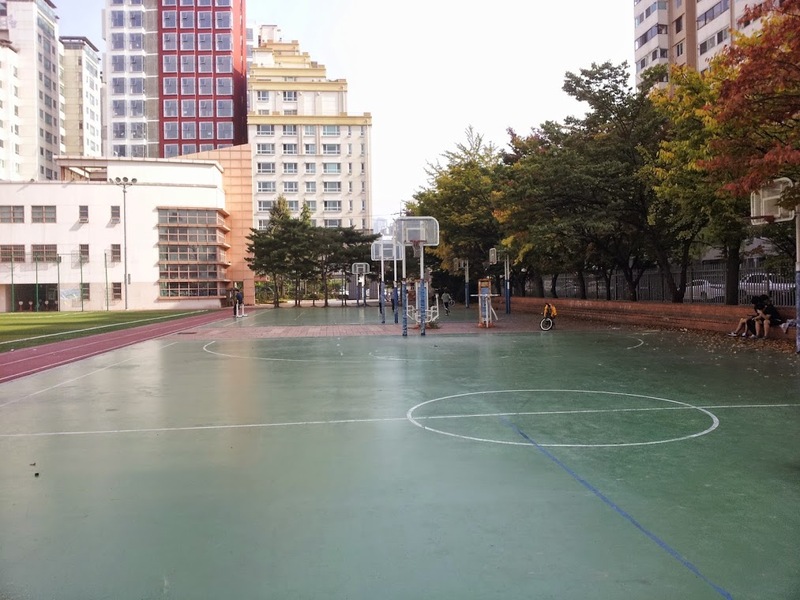 Have you ever noticed how many basketball court surfaces in Korea are green? Rims are slightly lower than regulation height. (Some might consider this to be a positive; it is rumored that Muggsy Bogues got his start here. Not too great for finding a good pick-up game. 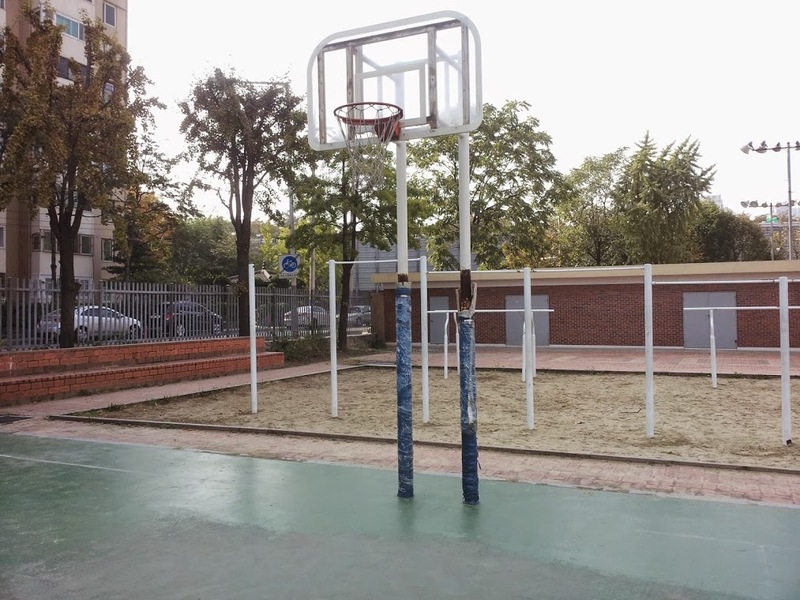 These courts are more suited to having a friendly shoot-around with a friend. A 5-on-5 game might get a little crowded due to a slightly smaller court size. There are toilets and water fountains available. Feel free to use the sink to wash your hands, the water fountain to wash your mouth, and the toilet to wash whatever your feel like washing. 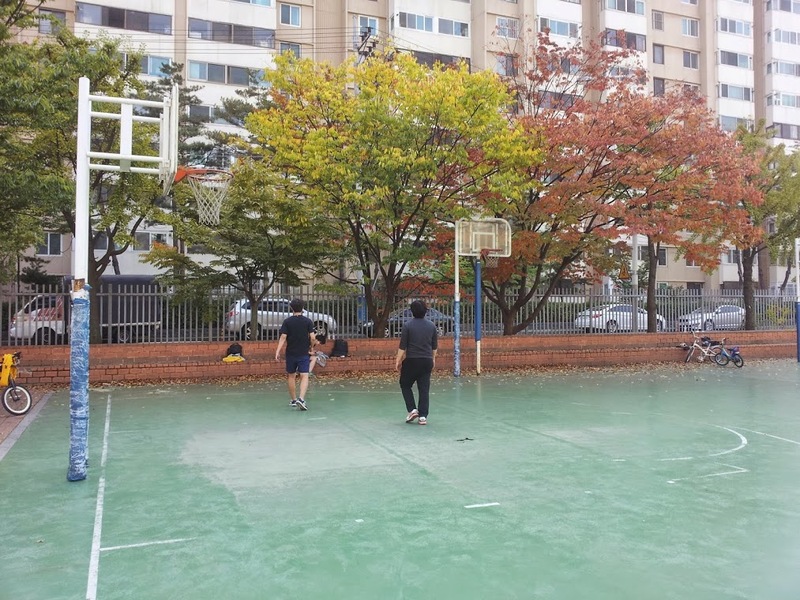 To see more photos of Kwan-ak's basketball courts, please visit our Google photo album. -Go out exit 2 and walk straight for 260 meters. Cross the street of the main intersection you are at and follow that road to the right. 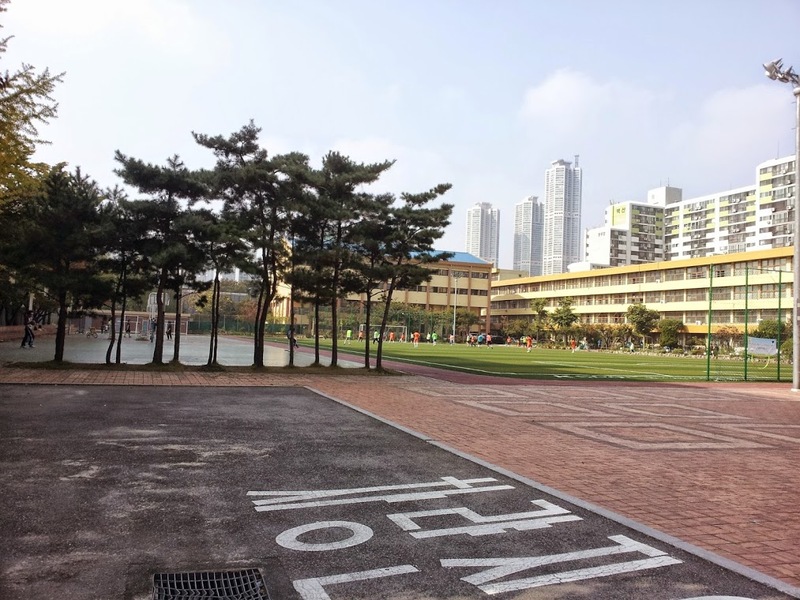 -Walk approximately 100 meters until you see a sign for Kwan-ak High School. Take a left. Keep walking until you see the school on your right.